Yeah guys! 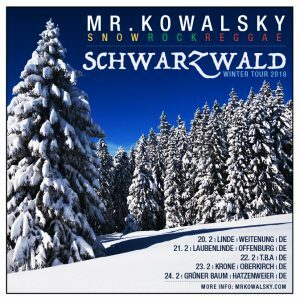 Here we go on the road again to the Black Forest, south of Germany… we’re excited to play a few shows and show you some of the new songs for the upcoming album as well. 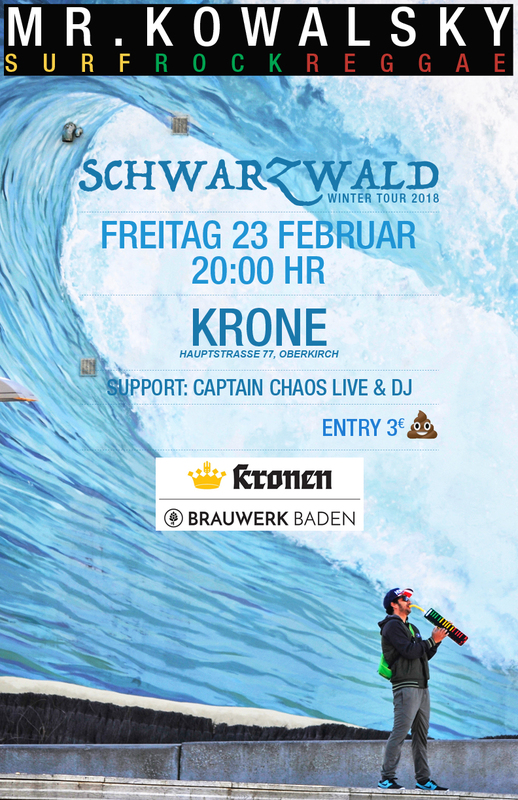 There will be a couple acoustic shows and a couple full band shows … hopefully we can go to the mountain in Schwarzwald and do some snowboarding as well. 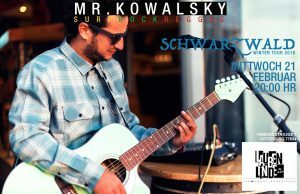 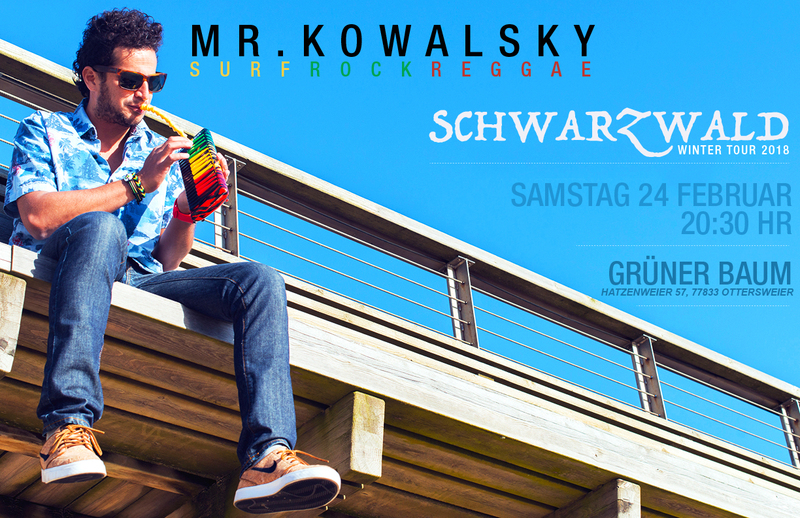 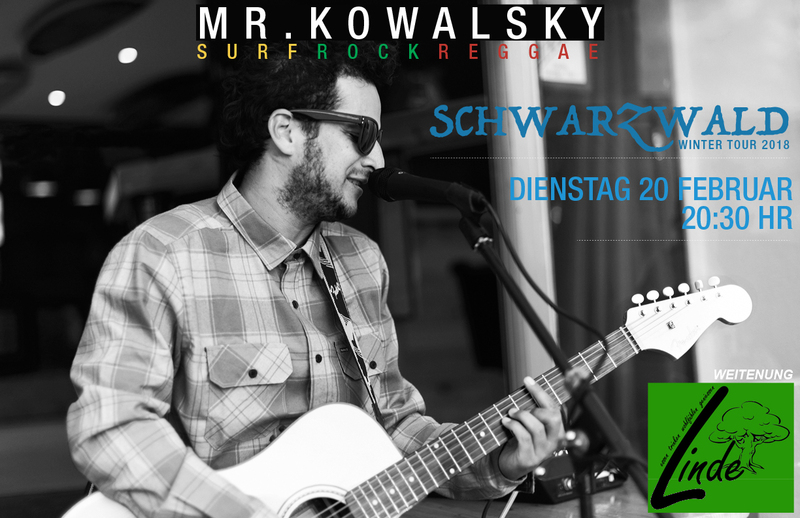 – An acoustic intimate evening with Mr.Kowalsky. 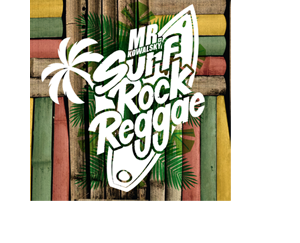 – Full band Surf Rock Reggae show.